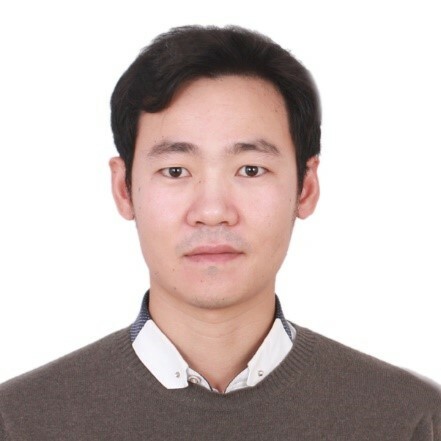 Zhenliang (Mike) Ma is a Lecturer at the Institute of Transport Studies, Monash University, and jointly appointed with the SEU-Monash Graduate Program (Transportation) in China. Mike received Bachelor’s in Electrical Engineering and Master’s in Communication Engineering from Shandong University, China and Ph.D. in Transportation Engineering from the University of Queensland, Australia. Before joining Monash as a faculty staff, Mike was a Postdoc Research Associate at the US-DOT Beyond Traffic Innovation Center and Lecturer (part-time) at Northeastern University, Team-leader of the MIT-Mass Transit Railway (MTR), Hong Kong program at MIT Transit Lab (https://transitlab.mit.edu/), and Research Affiliate with the MIT Urban Mobility Lab (https://mobility.mit.edu/). He also collaborated on various projects funded by world-leading agencies, Transport for London, and MBTA, the Transit Authority in Boston. Mike’s contributions on urban data analytic and applications in transportation are published in prestigious transportation journals/conferences and patented by the National Intellectual Property Administration. The established models/methodologies/tools are industrialized in the fields of practitioners in urban railway systems, such as network state monitoring and prediction with opportunistic sensor data in MTR, Hong Kong. He serves as reviewer for Journals and Science Foundations, such as Nature-Scientific Data, Transportation Research Series, and Chile NSF. He is invited to contribute in writing research proposals to various agencies (US, Europe and China), such as US NSF Engineering Research Center (NEU), US National Transportation Board (MIT), Google (KTH, Sweden) and DiDi (Tsinghua University, China). Mike’s general area of research is at the intersection of optimization, machine learning, and computer simulation. Under the umbrella of buzz words ‘big data’, ‘IoT’, and ‘sharing economy’, his research focuses on the inference (understand), prediction (inform) and optimization (design), through the integration of novel data sources, mostly from connected devices or infrastructures, into mathematical learning models. The applications include public transport (e.g. bus and urban railways) and shared mobility-on-demand services (e.g. Uber, Lyft, DiDi, micro-transit). The application topics cover service planning (e.g. network extension), operation control (e.g. probabilistic routing), behavioral modeling (e.g. habitual, information, disruption, and intervention), demand management (e.g. nudge behavior), and personalized travel (e.g. Chatbot). Designing platform strategy and operation business models to engineering the sharing economy (in mobility) to attain predictable and socially desirable outcomes, and value creation for public and private sectors (NSF-ERC-SHARE, https://web.northeastern.edu/rcshare/).